Two years ago, Legendary Pictures and director Gareth Edwards unleashed the King of Monsters onto these shores, effectively reigniting interest on Gojira across the four corners of the world. Case in point: Toho Pictures, having collaborated with Legendary and Edwards on the 2014 creature feature, have circled back to the well in order to create their own, decidedly old-school film. And so, we arrive at the barnstorming new trailer for Godzilla: Resurgence. Due to open in the Land of the Rising Sun later this month, Resurgence represents the first Godzilla-related feature to come out of the legendary film studio in more than a decade – you’d have to cast your mind all the way back to 2004’s Godzilla: Final Wars for the alpha predator’s most recent outing. 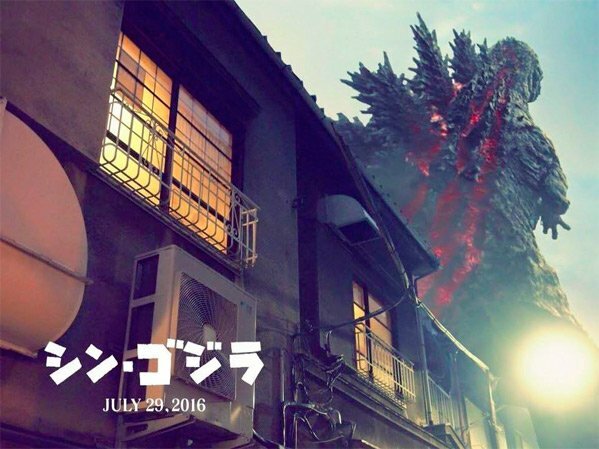 Godzilla: Resurgence stomps into Japanese theaters on July 29. There’s currently no mention of a US release, but we’ll keep you posted should Toho push ahead with an international rollout. Jun Kunimura, Shin’ya Tsukamoto, Satomi Ishihara and Hiroki Hasegawa are among the cast, with Attack on Titan alum Hideaki Anno and Shinji Higuchi behind the lens. Looking further afield, Legendary is already teeing up a direct sequel to Gareth Edwards’ Kaiju flick for 2018, with Rodan, Mothra and King Ghidorah all teased as potential foes.